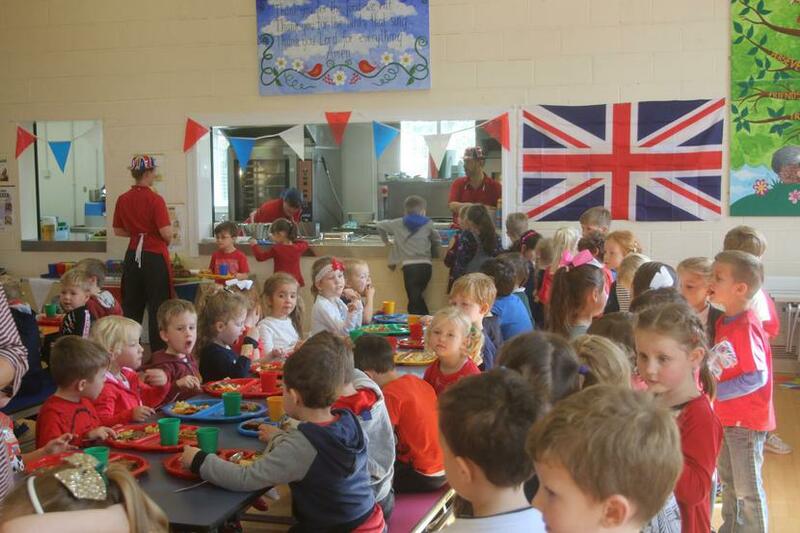 The children had a great red, white and blue day and thoroughly enjoyed their Great British lunch. Here are some of the children in the hall. 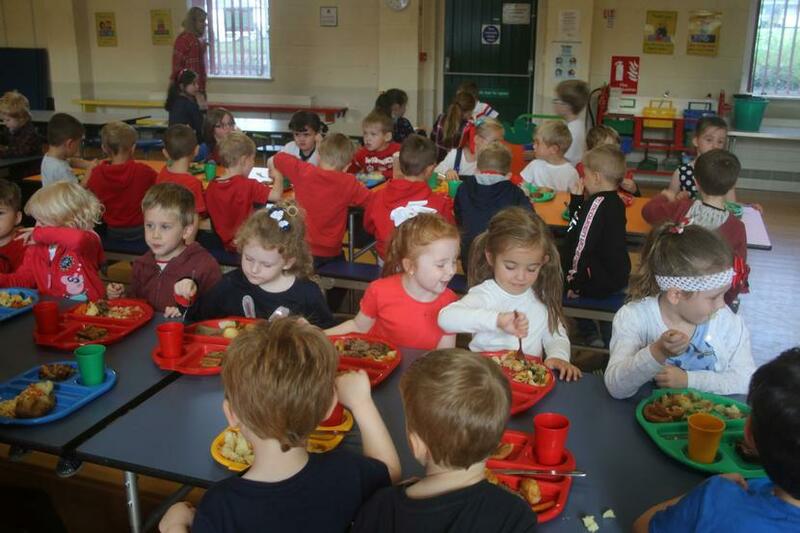 The EYFS children are really settled into their routine now and are managing very well in the hall with their lunches.